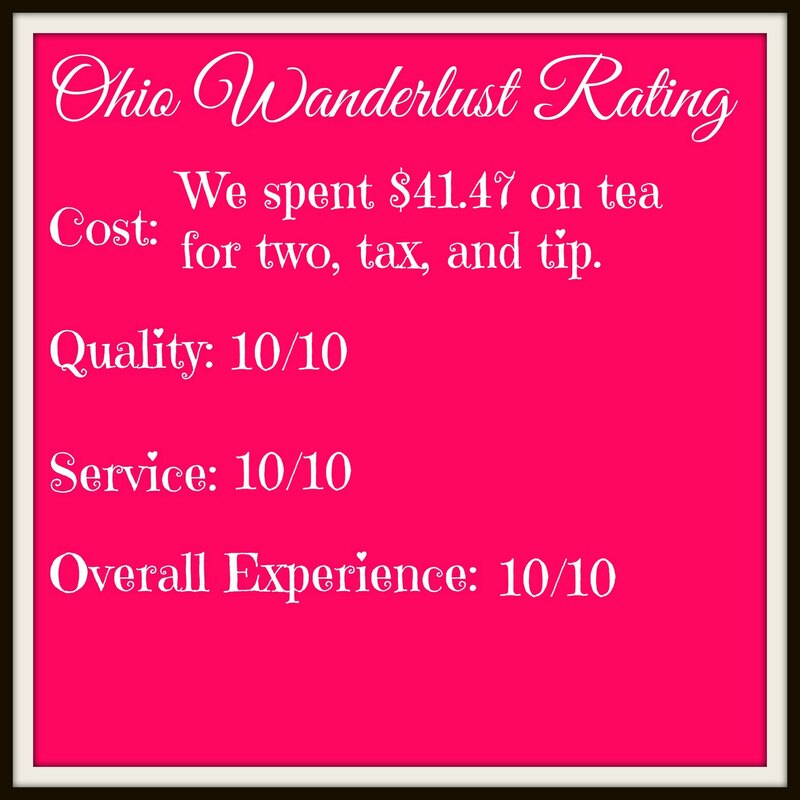 When we arrived we discovered that we could order Tea for Two and get a slight discount by sharing a pot of tea. 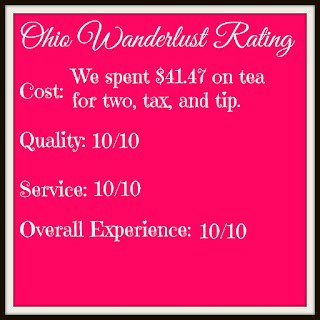 We decided to go that route, because we didn't need two tea pots or two french presses along with our tea time samples. Our food samples arrived in two portions -- the savory samples and the dessert samples. Larger portions of all of the samples were available for purchase. With the Tea for Two, we were able to get double the samples, so you'll see everything times two on our plate. Tea Sandwich: Made with prosciutto, fresh cucumber, and herb cream cheese on rye. We were able to order ours without the prosciutto. Quiche: Made with local roasted beet and garlic. Baby Brioche: Served with honey-thyme butter, pepper jelly, and peach jam. Its difficult for me to say what my favorite savory sample was -- I really enjoyed both the quiche and the baby brioche with the thyme-butter and pepper jelly. I don't know if I even sampled the sweeter jelly, because the thyme-butter/pepper jelly combination was too good. Dave liked the layers of flavor and texture that were revealed in each bite of the cucumber sandwich. For our sweet samples Dave selected a vanilla cardamom macaroon and I selected a chocolate cream macaroon. Opera: Sponge cake soaked in coffee syrup layered with chocolate ganache, and coffee buttercream. Chevre Cheesecake: Mackenzie Cremery goat cheese, served with ginger-apricot compote. Macaron with Chocolate Cream Ganache. We thoroughly enjoyed the February Afternoon Tea at Coquette Patisserie. It was a relaxing hour, we knew going in that the food would be absolutely amazing and for the price we paid everything was well worth it. I don't think this is an event that we'll book every time it's available, because travelling to Cleveland is a bit of a haul for us, but it's certainly something we would attend again.